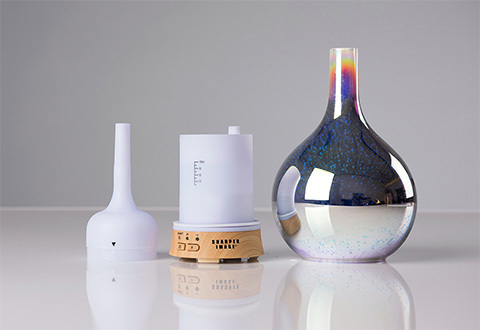 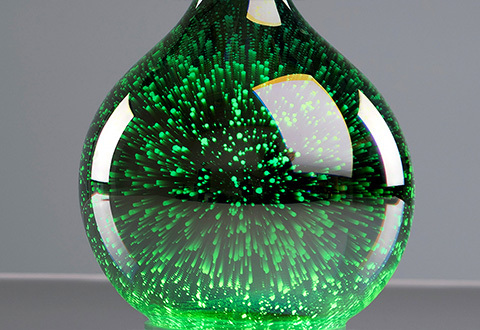 The 3-D Ultrasonic Aromatherapy Diffuser-Vase creates scented mist and relaxing visuals for your home and well being. 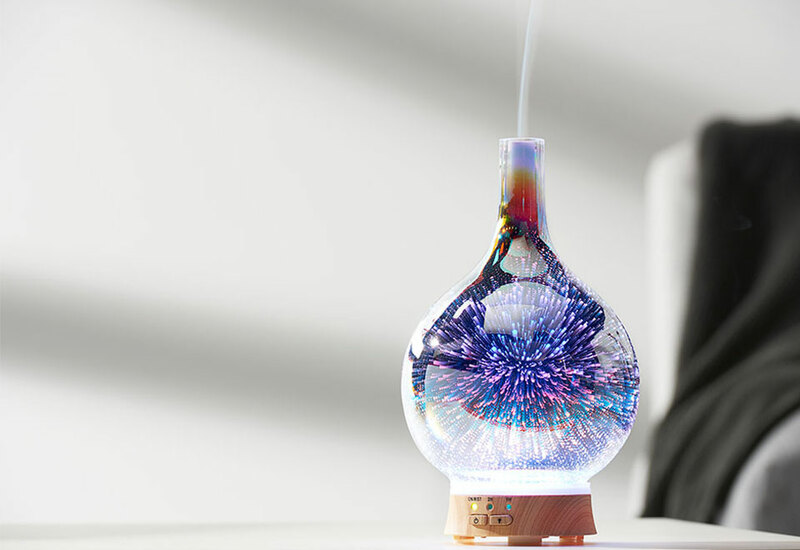 Simply add water and a few drops of your favorite essential oil. 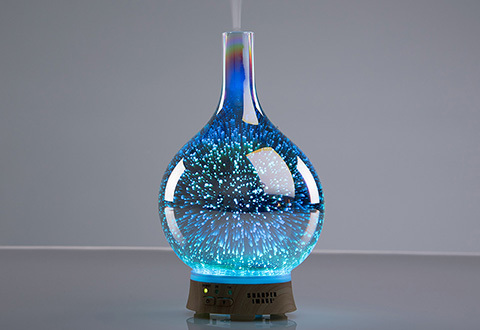 The ultrasonic vibrations turn the water into a superfine mist that freshens the room. 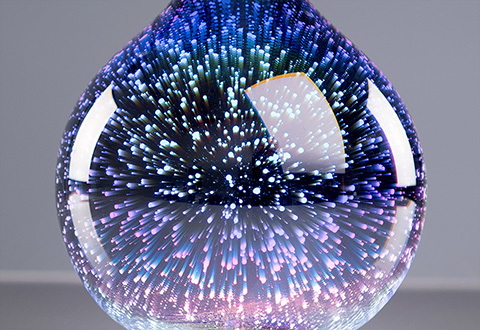 Built-in LEDs create a sparkling color effect on the glass cover. 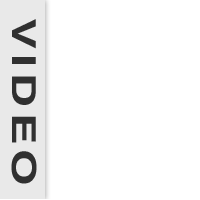 Mist and lights can operate together or separately. 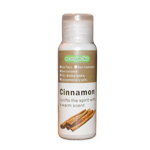 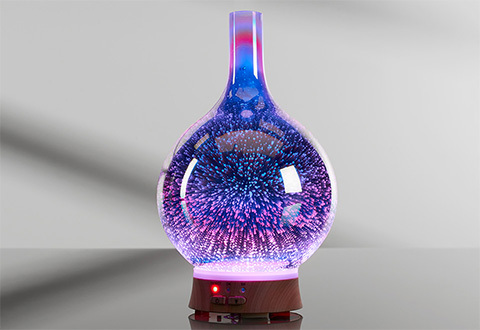 Essential oils available at SharperImage.com. 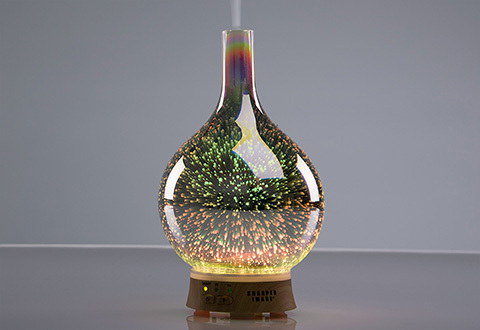 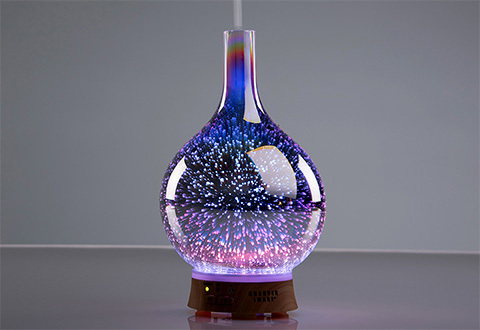 The 3-D Ultrasonic Aromatherapy Diffuser-Vase creates scented mist and relaxing lights for your home and well being.